Russian Foreign Minister Sergey Lavrov has slammed the UN’s “inactivity” regarding Syrian peace talks, and urged them not to postpone the reconciliation process further. 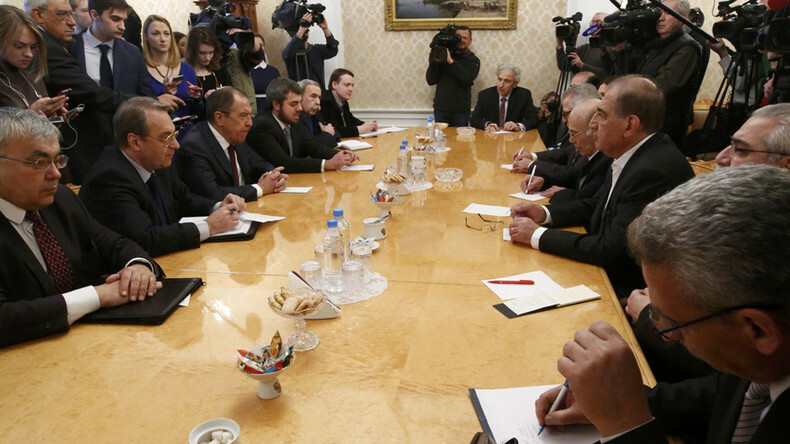 “We’re convinced that the inactivity of our colleagues at the UN, who haven’t conducted a single round of talks since last April, is unacceptable,” Lavrov said during a meeting with the Syrian opposition in Moscow. “We hope that the UN will not put off calling the next round of Syrian talks anymore. At the same time, we’re sure that it’s time to stop beating about the bush during these negotiations, and to focus on reviewing concrete issues in accordance with the agenda indicated in resolution 2254 – including work on the [Syrian] constitution,” he added. The Syrian opposition has confirmed receiving “Russia’s suggestions regarding the Syrian constitution” from the Russian foreign minister, as cited by RIA Novosti. On Thursday, RT obtained the draft of the constitution from a Syrian opposition source, with the bullet points of the documents being territorial integrity of the country, separation of political powers, and respect for minority rights as well as international treaties. 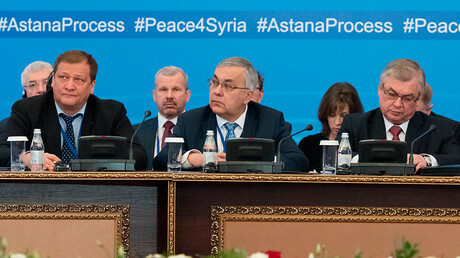 Negotiations in Astana took place on January 23-24, with official representatives from Damascus, Russia, Iran, and Turkey participating, as well as a delegation from the Syrian opposition. After the talks, Russia, Turkey, and Iran said that the Syrian opposition had agreed to take part in further meetings, with the next one scheduled to take place in Geneva at the end of February.